The Rabbi thereby implies that settler-colonialism and ethnic cleansing are ‘integral’ to Judaism: a dangerous claim. Theodor Herzl founded the modern political ideology of Zionism in the late 19th Century. See more here. Writing in the Telegraph, Rabbi Mirvis said it was “astonishing” that those on the hard-left of British politics were “presuming to define the relationship between Judaism and Zionism despite themselves being neither Jews nor Zionists. “The likes of Ken Livingstone and Malia Bouattia claim that Zionism is separate from Judaism as a faith; that it is purely political; that it is expansionist, colonialist and imperialist. Directly addressing those who had sought to “redefine…vilify…and delegitimise” Zionism, Rabbi Mirvis wrote: “Be under no illusions – you are deeply insulting not only the Jewish community but countless others who instinctively reject the politics of distortion and demonisation. Zionism is a belief in the right to Jewish self-determination in a land that has been at the centre of the Jewish world for more than 3,000 years. One can no more separate it from Judaism than separate the City of London from Great Britain. Read the Telegraph article in full here. Is it antisemitic to ask if Israel has ‘right to exist’? Excerpt: ‘… This is obviously a battle ground; and we have a clear position: We think it is legitimate and not anti-Semitic for critics to make such an argument. Given the principle of separation of church and state, such an argument has a long pedigree in modern political philosophy. Moreover, Israel’s history shows that creating and maintaining a “Jewish state” has entailed ethnic cleansing of Palestinians on a regular basis, including in East Jerusalem and broad portions of the West Bank to this day, in order to maintain a Jewish majority in certain areas. In practice, the Jewish State in Israel/Palestine has meant an ethnocracy where Jews are given special and exclusive rights over other citizens and non-citizens under the sovereignty of the Israeli government. This is a system that we (Horowitz and Weiss) reject for political, personal and moral reasons that are in no way connected to vilifying or discriminating against Jews, the traditional definition of anti-Semitism. Of course, many other people oppose these definitions of anti-Semitism as well. [C]criticism of the Israeli state is not based on the Jewish identity of most Israeli citizens or leaders; it is based on the nation state’s historical and present day actions. Despite these important distinctions, some go to great lengths to lump Jewish people and the Israeli state together, arguing that Jews and Israel are inherently connected, and that any attack on one is an attack on the other. Yossef Rapoport, who self-defines as a Zionist, asks the same question. Excerpt: ‘…does the current State of Israel have a right to exist as a Jewish state? I’m not sure, and it is definitely not anti-Semitic to doubt it. It is not its Jewishness that puts Zionism under this spotlight; for me, there is really nothing inherently wrong with Jews having a state they can call their own. Rather, it is two generations of occupation and the denial of the rights of refugees that put a question mark about Israel’s legitimacy. Author FreeSpeechonIsraelPosted on 3 May 2016 4 May 2016 Categories UncategorisedTags BlogLeave a comment on Is it antisemitic to ask if Israel has ‘right to exist’? 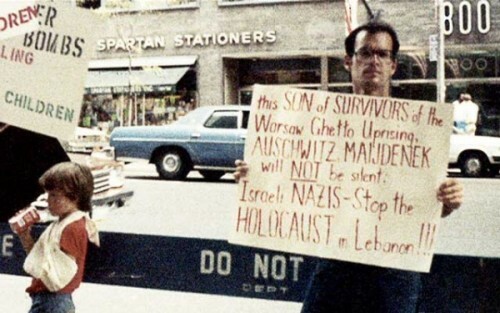 Read Jamie Stern-Weiner’s full interview with Norman Finkelstein here. Excerpt: Jonathan Freedland (My plea to the left, 30 April) asks us to imagine if a country far away was created for black people and asks if the left would treat it as it does Israel. As a Palestinian I want to tell him that if, instead of a country for Jews, a country for black people or any other group had been created in our homeland without our consent, we would have objected and resisted as Palestinians with the same vigour. It added: “Some of these allegations against individuals are, in our view, baseless and disingenuous; in other cases, ill-chosen language has been employed.” Read the full statement here. JC said it had approached Professor Feldman for a comment. By 2013, the EUMC’s successor body, the European Union Agency for Fundamental Rights (FRA), had abandoned the politicised definition as unfit for purpose. Just this week, in response to a motion passed at NUS conference, the FRA explicitly denied having ever adopted the definition. 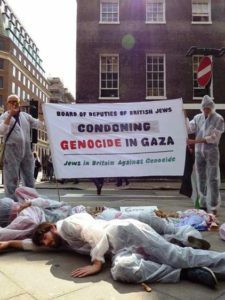 Yet on March 30, Eric Pickles, UK Special Envoy for Post-Holocaust issues and chair of Conservative Friends of Israel, revived the discredited definition by publishing it on the government’s website. Feldman told the Jewish Chronicle: ‘“It is my view that all allegations of antisemitism require investigation. My starting point is that the rules and norms applied to identify racism for other minorities in British society should be applied consistently, and that means to Jews. “My position is to work from an initial assumption that people are speaking and writing in good faith and are engaged in an honest disagreement. Allegations of disingenuousness, which come from many sides of this debate, can rarely be proven. “The key points of the IJV declaration support human rights, the rights of Israelis and Palestinians to lead secure lives, and international law as a basis for peace and stability. The declaration also states its opposition to all forms of racism and that the battle against antisemitism is vital. It is hard to see what is controversial about these points. We are concerned at the proliferation in recent weeks of sweeping allegations of pervasive antisemitism within the Labour Party. Some of these allegations against individuals are, in our view, baseless and disingenuous; in other cases, ill-chosen language has been employed; elsewhere, there have been statements which, deliberately or otherwise, have clearly crossed the line. We welcome the fact that the Labour Party has demonstrated its commitment to rooting out antisemitism with the seriousness of its response, including the setting up of an independent inquiry. We are equally concerned, however, by the way in which such accusations are deployed politically – whether by the press, the Conservative Party, opponents of Corbyn’s leadership within Labour, or by those seeking to counter criticism of the actions of the Israeli government. The current climate is quickly coming to resemble a witch-hunt, in which statements and associations, some going back years, are being put under the microscope. We appreciate the concern for anti-Jewish prejudice – a concern which we share. We are committed to our principles of opposition to all forms of racism, including antisemitism, anti-Arab racism or Islamophobia, in any circumstance. We are therefore dismayed by a lack of parallel attention to other forms of racial and religious bigotry, particularly given the current climate of growing Islamophobia across Europe. In the same week that the government refused to admit 3000 unaccompanied minor refugees to Britain, we cannot help but note the highly disproportionate attention paid in the media to errors of speech rather than errors of deed. We also reiterate our view that the battle against antisemitism is undermined whenever opposition to Israeli government policies is automatically branded as antisemitic. Allegations of antisemitism foster an atmosphere increasingly hostile to those fighting for the rights of Palestinians at a time of growing opposition to Israel’s racist and discriminatory policies towards its Arab citizens and its ongoing occupation in violation of international law. What is clear to those of us who have been engaged in the movement for Palestinian rights, and who believe in the right to dissent of Jews in relation to Israel, is that the more public opinion turns against Israel’s indefensible actions, the more our opponents will resort to name calling in an attempt to discredit us. As Jewish critics of Israel’s policies, we urge people of conscience not to succumb to this campaign of intimidation and to continue the struggle for equal rights and freedom for all people.